Don’t miss out this holiday season on these two AWESOME discounted (or free!) photo shoot options, with a quality, experienced photographer. Are you ever saying you need to take more photographs of your loved ones? Location shoot for your family and friends & 3 free A5 prints. This is a holiday season promotion – these shoots are usually $299. 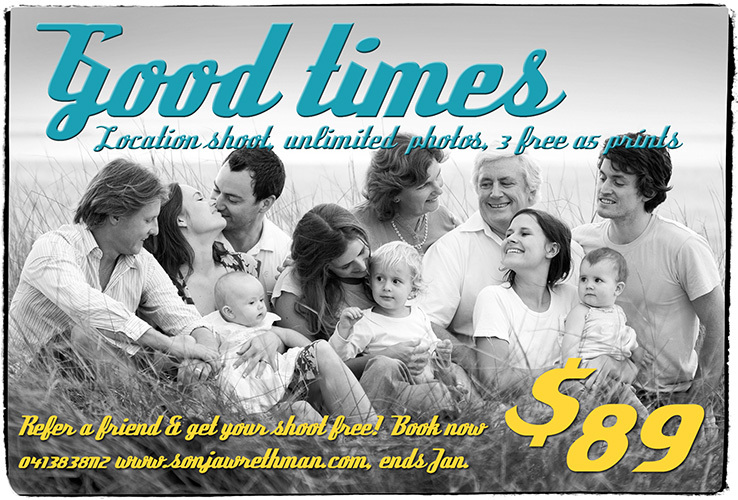 If you refer another friend or family to book and pay for their shoot before the end of January, you get your $89 back. Wow. Easy as pie. Come on, make some memories! Includes a studio viewing of all the pictures taken from the shoot. Print, digital files, canvases, books and more can be ordered at really reasonable rates. Location shoot for you & 3 or more friends to capture memories of a lifetime. Includes hair and make up. $99 per person. Unlimited pictures. Whoever makes the booking gets the shoot & hair and make up for free! Subject to availability. Lets pick an awesome location together, bring your outfits and lets get styling! 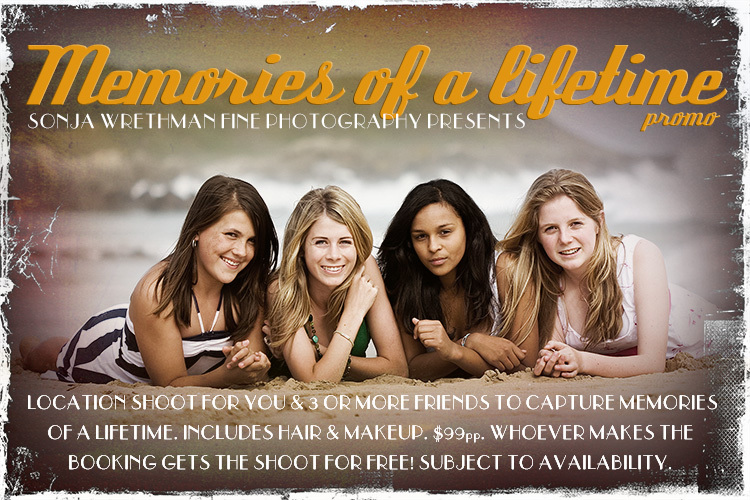 Whether its a schoolies shoot with you and your best guy and gal pals from school, or a crowd of Uni friends, or just a group of old friends, this is the shoot for you. Includes a studio viewing of all the pictures taken from the shoot. Print, digital files, canvases, books and more can be ordered at really reasonable. Limited time only, book now.